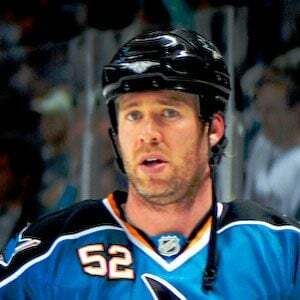 Defenseman who made his NHL debut during the 1994-1995 season with the Montreal Canadiens and joined the San Jose Sharks in 2007. He played for the Kingston Frontenacs in the Ontario Hockey League. He was traded to the Buffalo Sabres in 2008. He was born in North Bay, Ontario, Canada. Center Vincent Damphousse was his teammate on the Canadiens.